And that work will go on show as part of the London Design Festival, starting this week, hosted at leading brand and design agency dn&co in their gallery Ground Floor Space in Bermondsey. 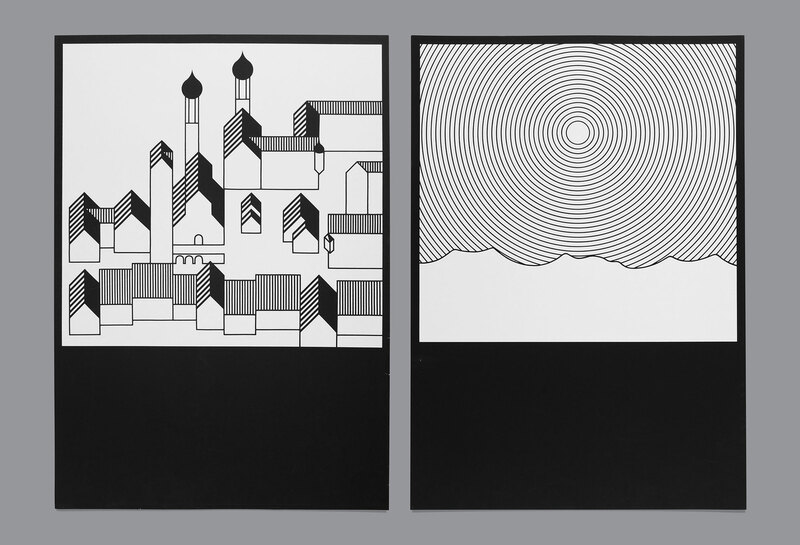 Aicher’s minimalist approach initially polarised some inhabitant’s opinions, but was well received and indeed awarded within the design community, and is now much loved by the people of Isny. 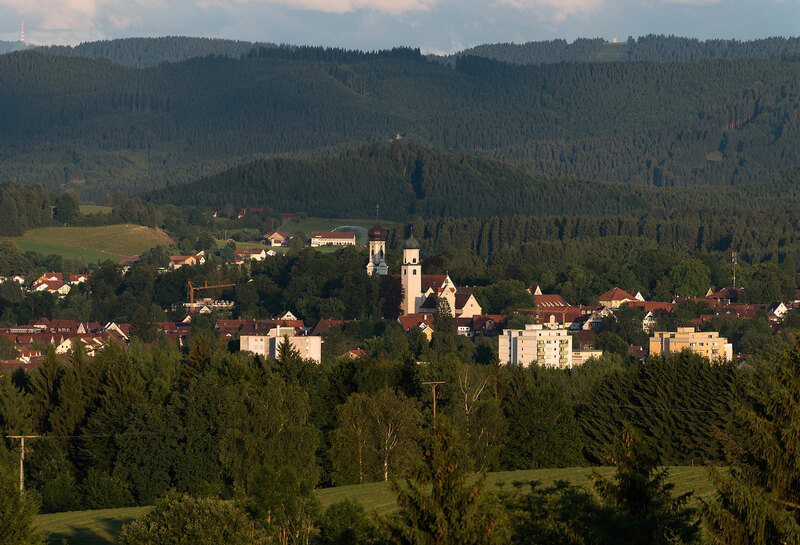 Nothing could be further from the typical Bavarian cliches of leiderhosen, Heino and giant steiners of beer. 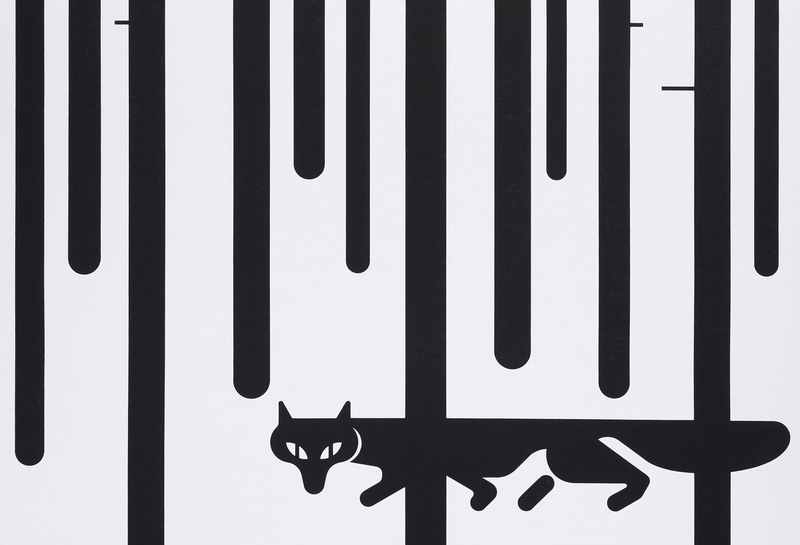 Aicher had already created sets of pictograms with repetitive elements for the 1972 Munich Olympics and for signage and wayfinding in Frankfurt Airport. He had been influenced by Masaru Katsumi, who had designed pictograms for the 1964 Olympics. However, he had gone on to create pictograms for Munich that used a strict grid and repetitive shapes. For Isny, he created initial drawings of images of the landscape, architecture, people and animals around the town and countryside, and these helped him to create a final series of 120 images. These images could be rearranged to show ”reportage” about Isny, on posters, brochures and collateral. Of course, in typical local council style, the identity was replaced by a more traditional photographic route after a few years, but it was then revived in the early ’90s at the time of Aicher’s death and is still used to this day. Most cities have to make do with a characteristic building or two to represent them — St Paul’s Cathedral, the Empire State, the Eiffel Tower… Aicher gave Isny an entire landscape and the power to tell a far richer story about the place than just architecture alone. 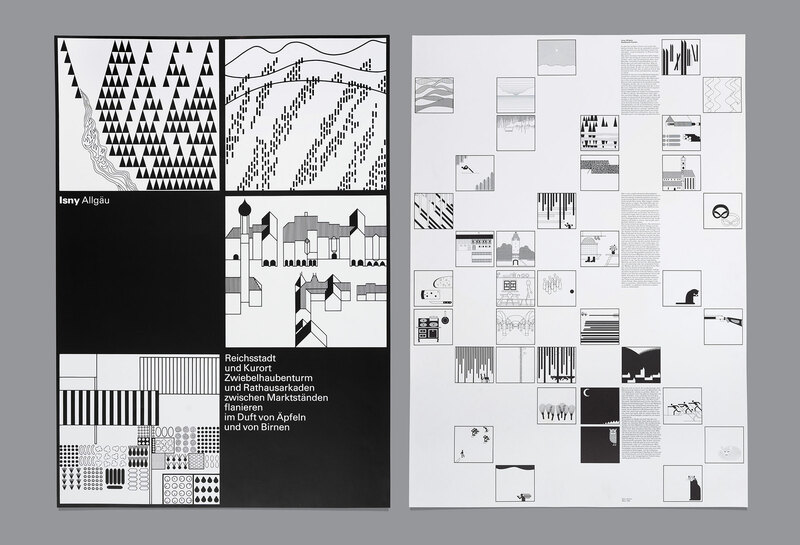 Aicher had previously attempted similar projects, some using colour, for other German towns and even in the ’40s and ’50s, his work had shown signs of strict geometric rules and grids. 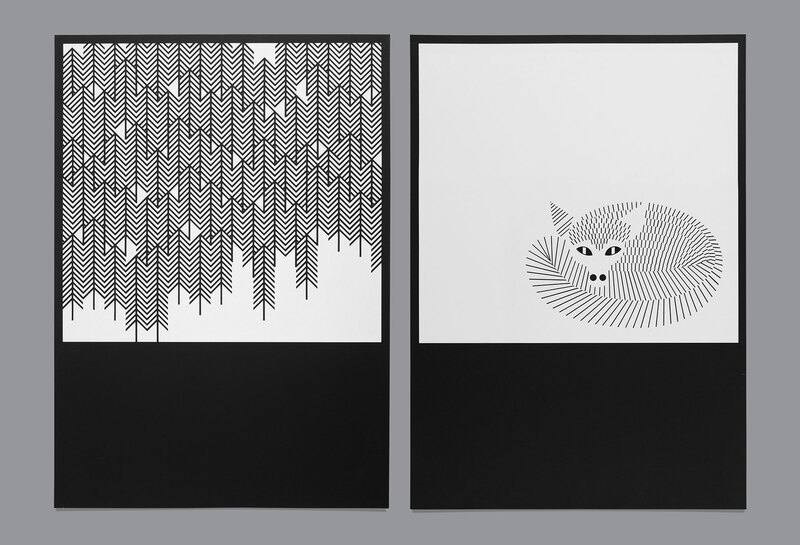 So in some ways, Isny’s output became a channel for Aicher, the culmination of his minimalist work. The exhibition is open from 15 to 24 September at dn&co’s Ground Floor Space. This entry was tagged #typography, Bavaria, Design, DN&Co, Graphic, Isny, Katsumi, LondonDesignFestival, OtlAicher, Pictogram, Rotis. Bookmark the permalink.